Software projects I’ve worked on in the past, ordered chronologically. 2018–present: I built the new website for this online publication using mostly the same codebase as Notes From Below. Source on GitHub; design by Tom Munday. 2014–2017: CTO and co-founder of a startup (data science/marketing tech) that was acquired by StatSocial at the end of 2017. I wrote about my ‘incredible journey’ here. Our stack: Python (Celery, Flask); Redis; Riak; MongoDB; AWS. 2013–2014: As the IT Director for ctlibre.com, a web-based revival of the Canadian publication Cité Libre founded in 1950, I built and managed the Django-based website. Though fairly simple in scope compared to some of my past Django projects, the requirements of multilingual support (English and French) and a mobile-responsive, user-friendly design presented fun challenges. 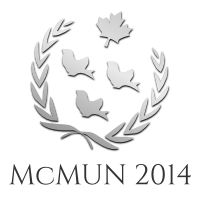 2013–2014: Reprising my role as the Undersecretary–General, IT for McMUN 2014, I improved the system I had built for McMUN 2013 and overhauled the website design, complete with a new logo for McMUN’s 25th anniversary. Everything is available on GitHub. 2012–2013: As the Undersecretary–General, IT for the 2013 edition of this university-level UN conference at McGill, I again redesigned the site and built a custom content management system, this time with Django. The source is again available on GitHub. 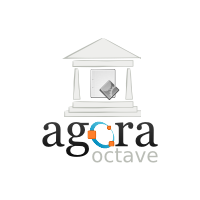 2012: I worked on Agora Octave, a code submission and collaboration website for Octave-related projects, as part of the European Space Agency’s Summer of Code in Space 2012. I wrote some blog posts about my work. 2011–2014: As a student researcher in the Network Dynamics Lab (part of McGill University’s School of Computer Science), I wrote code, ran experiments, and analysed data, mostly in the field of demographic inference with regard to Twitter. I also created the interface for a visualisation of Christmas wishes on Twitter; before that, I designed the interface for an interactive visualisation of the 2012 US presidential election, in tweets. 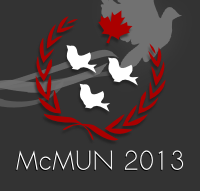 2011: As the Undersecretary–General, IT for the 2011 edition of this high school Model United Nations conference at McGill, I redesigned the site and built a content management and registration system around phpBB. The source is available on GitHub, though the usefulness of the repository is limited to historical value, as the site no longer uses that codebase (and, to be honest, it was pretty awful). 2011–2012: diva.js is an open source document viewer for high-resolution scanned documents, particularly old sheet music, that was designed for high performance. There’s a frontend component (a jQuery plugin), and a backend component for processing and displaying the images. 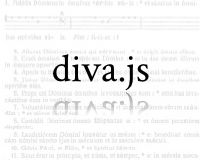 I was hired as a web app developer by the DDMAL lab in McGill’s Department of Music Technology in February 2011, and thus became the primary developer of diva.js until I left the lab in August 2012. The project is on GitHub; you can also find out more about it through the project website. 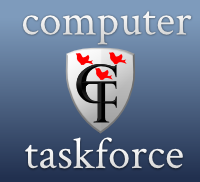 2011–2013: As a volunteer for Computer Taskforce – a student-run group that manages substantial printing and computing resources for science students at McGill – I fixed a lot of print jams and built an external website for the group. The website was built with Jekyll and the Twitter bootstrap and uses a server-side script for checking printer status. As usual, the source is available on github. 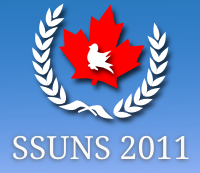 2010–present: A free, unofficial wiki-based resource for the courses at McGill University. Founded by McGill students in the fall of 2010, Wikinotes began life as a MediaWiki installation containing student-contributed lecture notes, study guides, and sample test questions. I joined a few months afterwards to help manage the MediaWiki installation, but after a semester of fighting with MediaWiki to make it more usable for our purposes, I gave up and built a custom platform for Wikinotes using Django. I’ve since graduated from McGill, and though I no longer actively develop features or write course content, I manage the hosting and check up on it every now and then to see if everything still works. Creation of new content has unfortunately slowed to a crawl since I and some other contributors left McGill, but I’m told that the existing material is still helpful for students during exam period. Check it out for yourself if you like. 2007–2014: phpBB is a popular open source bulletin board system written, as you might expect, in PHP. I first joined the core team as a moderator in October 2007, and was added to the website team in July 2011. Although I resigned from both teams in March 2014 due to other commitments and the fact that I no longer manage any phpBB-based websites, I’ll forever be grateful to the community that introduced me to worlds of open source and web development. Over the years, I’ve built a few phpBB MODifications as well; I’m not actively developing them anymore, but feel free to contact me if you have support queries or want to take over development.